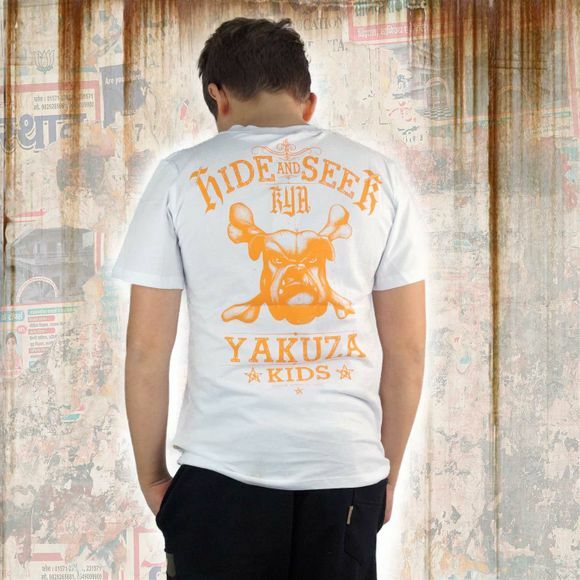 YAKUZA HIDE AND SEEK kid's t-shirt. 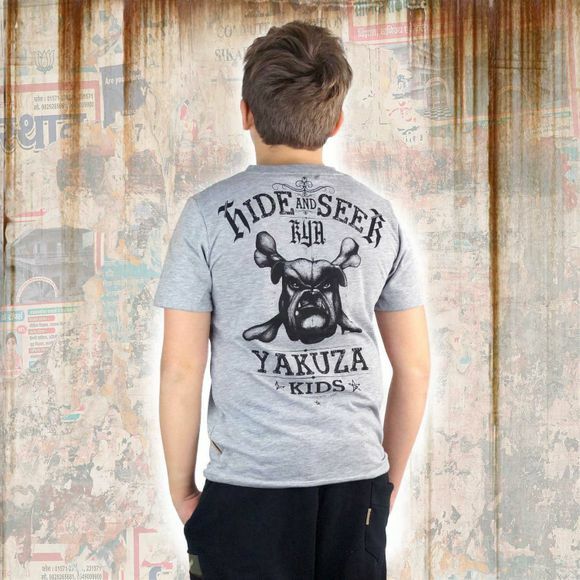 This v-neck t-shirt features vintage print designs a Yakuza leather tab on the side seam. Please watch out for the washing instructions below.